The RSS Project Module is a feature of SEnuke X that helps the search engines pick up your site. Now, those who are not familiar with the various online marketing tools that are essential to gain a good page rank often stop at article or video marketing. And they wait and expect to get on top of SERPs quickly. Most think that after posting their content, the search engines will do their job. However, with so much content and competition out there, this could result in a long wait as bots and search engine spiders go through the different parts of the web. There are various ways to get the search engines to pick up your site, such as pinging, bookmarking and submitting RSS feeds – or by using the SEnuke X RSS Project Module. RSS stands for Really Simple Syndication. The best way to understand RSS is to look at it from your readers’ point of view. When people subscribe to your sites’ RSS feeds, they are immediately informed if there are any new posts or updates in your site. This is the same for search engines. When you submit your RSS feeds to RSS sites, search engines pick this up and therefore would index your site. So more than your subscribers, the entire World Wide Web is “notified” as well. This brings more traffic to your site which means more business. 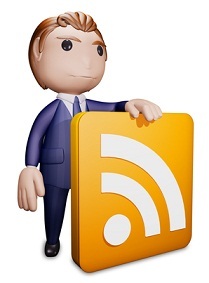 What the RSS Project Module does is it allows you to submit various RSS feeds to various RSS sites simultaneously. The submission process takes only a few minutes, and we’re talking about more than 40 sites here. If you do this manually, it would take you hours to finish. With the RSS Project Module, you can use these hours to create more content, develop a new product, or anything else at all. When you have the SEnuke X software, you can submit your content through its social networking submitter, article directory submitter or video module. When the submissions are done, SEnuke X gathers the RSS feeds for you, through the RSS Project Module,which means you don’t have to manually gather them yourself. If you have read a SeNuke X review before, you might be familiar with the Account Creation Module. Well, if you partner the RSS Project Module with it, you can easily and rapidly create accounts at the various RSS sites listed in SeNuke X . After this, all you need to do is create an RSS Project, fill in the necessary details, select the RSS feeds that you want to submit and then hit the Start button. Of course, too much of a good thing can be bad, and this specially applies to RSS feeds. Don’t get obsessed with submitting your RSS feeds through the RSS Project Module again and again! RSS feeds that are submitted to RSS sites need to be unique, and many RSS sites can detect non-unique submissions. As a result, these sites could reject your submissions or worse, disable your account. Submit your feeds only once. Also, some RSS sites require that you specify the category in which your feed belongs to. If you believe that your site does not belong to any category, just leave that RSS site out. It’s better to leave these sites out rather than be banned, as the RSS Project Module gives you many sites to submit to anyway.